My Nine Lives is a powerful and stirring memoir of one of the greatest pianists of the postwar era—an inspiring tale of courage, compassion, and triumph over outstanding odds. 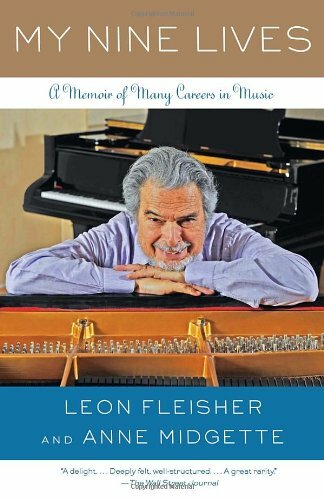 At the peak of his career, celebrated pianist Leon Fleisher suddenly lost the use of two fingers on his right hand. Miraculously, at the age of sixty-six, he was diagnosed with focal dystonia, and learned to manage it through a combination of physical therapy and experimental Botox injections. In 2003 Fleisher returned to Carnegie Hall to give his first two-handed performance in over three decades and brought down the house. With his coauthor, celebrated music critic Anne Midgette, Fleisher reveals here for the first time the depression that threatened to engulf him as his condition worsened, and the sheer love of music that rescued him from complete self-destruction.